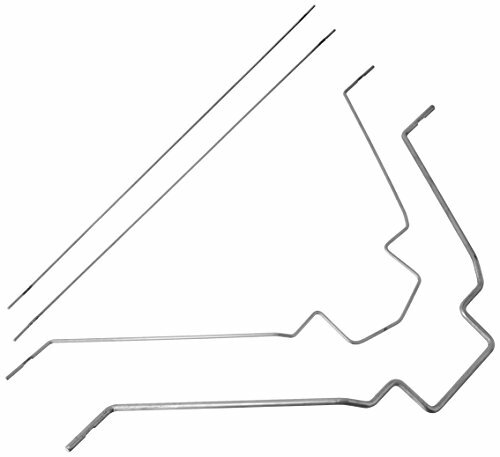 Key FeaturesAttaches to factory-installed mounts in the UMXTM Carbon Cub SS (EFLU1180)Floatplane option takes only minutes to completePainted with authentic scale appealMounting hardware included with pre-bent wire strutsLightweight design with efficient hull shapeOverviewThe UMXTM Carbon Cub SS float set is a great option that adds even more excitement to your RC flight experience. 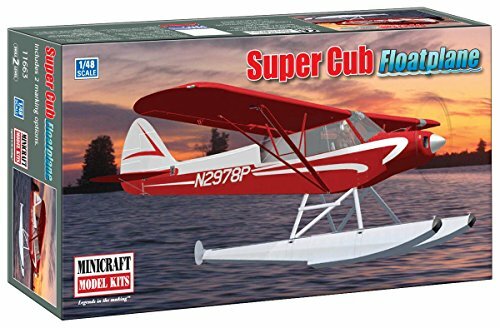 This lightweight, molded-foam float set includes everything needed to complete the floatplane conversion. Assembly and installation take only minutes. 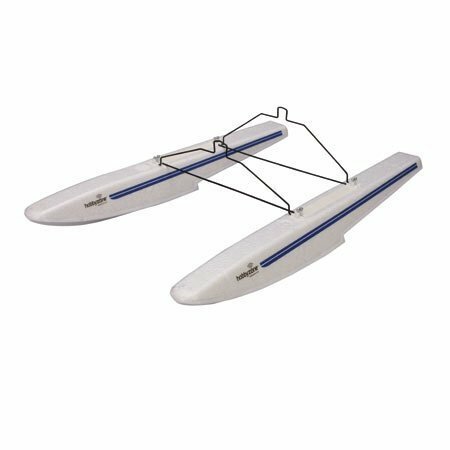 The rugged wire struts assure the proper stance on the water for smooth tracking and easy takeoffs from the water. Key FeaturesPre-built and sealed Z-FoamTM for remarkably easy installationPackaged with all mounting hardware, including pre-bent wire strutsCan be utilized with original Super Cub thanks to included rear float mountWeigh 5.5 ounces (150 grams)Includes a high-performance 10x8 propellerOverviewIf you have progressed past the teach-yourself-to-fly stage and are looking to add even more excitement to your RC flight experience, the Super Cub float set is the perfect option. 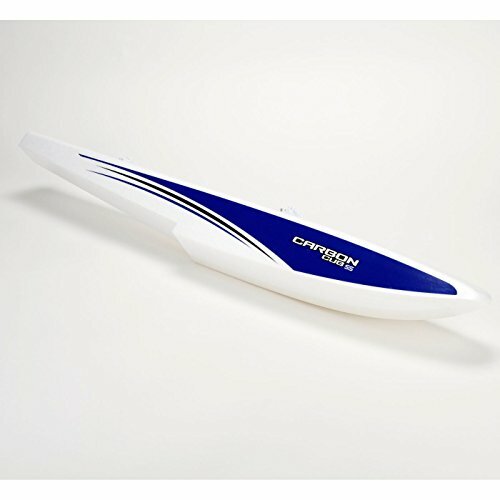 This lightweight, Z-FoamTM float set includes a larger prop (10x8) to maximize the performance of the Cub on floats. These floats are a Zone 3 product, and are not recommended for beginners due to the difficulty of flying off of water. Key FeaturesIdeal for the Hangar 9® Carbon Cub 15cc ARFLaser-cut, all-wood construction that's lightweightFiberglass front bottom skin for added durabilityFinished with genuine UltraCote®silver coveringStreamlined scale strut appearance with painted finishInternal water rudder servos and linkage (servos sold separately)Functional gravity-drop water ruddersForward ballast hatches make balancing easySuitable for airplanes that weigh 9-13 poundsHigh-quality hardware includedNeeded To CompleteServos (2 SPMSA4030)Y-Harness (1 SPMA3058)Servo Extension 12" (2 SPMA3053)OverviewTurn a vacant beach into your private RC floatplane harbor when you add the Hangar 9® 1/5-Scale Floats to your favorite airplane. 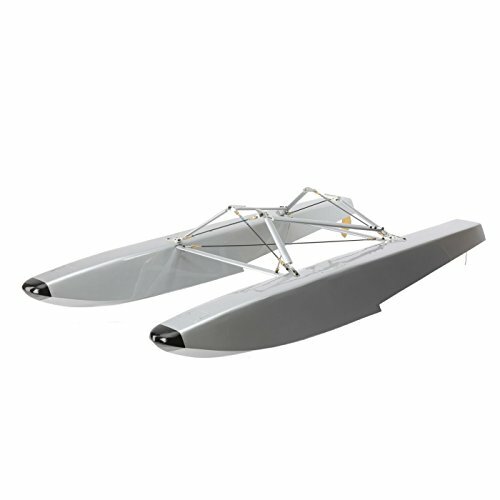 Designed to work perfectly with the Hangar 9 Carbon Cub 15cc ARF, these fully constructed floats feature a scale shape with streamlined struts that simply bolt into place. Each float features an internal rudder servo location and concealed linkages for a clean appearance that is simple to setup and maintain. 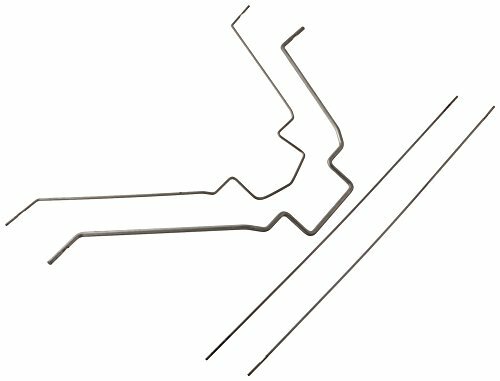 Hatches located in the forwardmost area of each float allow you to custom ballast the installation neatly. 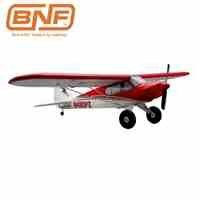 Looking for more Cub Floats similar ideas? Try to explore these searches: Nike Usa Warm Up Jacket, Graphic Onesie, and Official Comp Leather. Look at latest related video about Cub Floats. Shopwizion.com is the smartest way for online shopping: compare prices of leading online shops for best deals around the web. Don't miss TOP Cub Floats deals, updated daily.